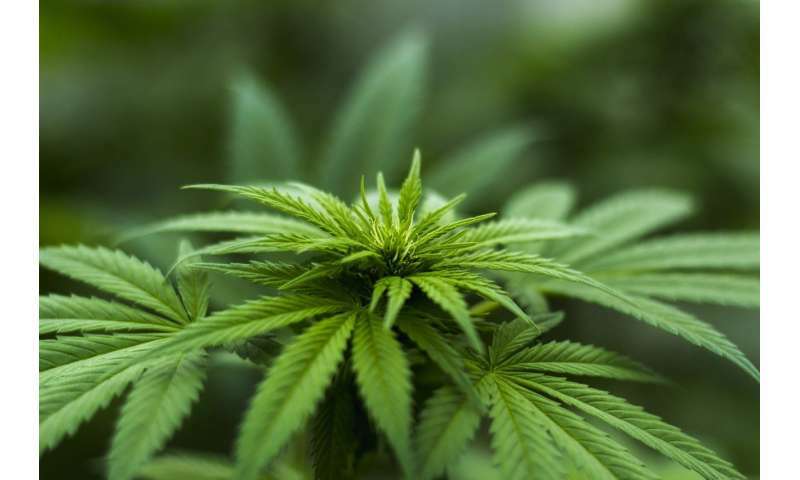 Researchers at UBC's Okanagan campus have developed a new method of measuring phytocannabinoids—the primary bioactive molecules in cannabis—that will lead to faster, safer and more accurate information for producers, regulators and consumers alike. "There is growing demand on testing labs from licensed cannabis growers across the US and Canada who are under pressure to perform potency testing on ever-increasing quantities of product," says Matthew Noestheden, Ph.D. chemistry student under Prof. Wesley Zandberg at UBC's Okanagan campus. "Traditional tests can take upwards of 20 minutes to perform, where we can do it in under seven. It will save a great deal of time and money for producers with enormous greenhouses full of thousands of samples requiring testing." "Most people are familiar with THC as the primary bioactive compound in cannabis. But in reality, there are more than 100 different phytocannabinoid variants, many with their own unique biological effects," says Noestheden. "The problem is that it's very difficult to differentiate between them when testing cannabis potency." "We tested twice as many phytocannabinoids compared to what most labs are testing for now, and more than twice as fast," says Noestheden. "We limited our tests to 11 variants because these were the only ones commercially available at the time. We could just as easily test for 50 or even all 100 variants, including some synthetic cannabinoids that can be added to products to increase potency." Noestheden says his method was designed to be rolled out in labs around the world. Having worked with Rob O'Brien, president of Supra Research and Development, a cannabis testing lab and industry partner of this study, Noestheden now hopes his new method can be put straight to good use by helping researchers connect variation in phytocannabinoids with the pharmacological effects of various cannabis products. "It's an elegant solution because any cannabis testing lab with the appropriate instrumentation should be able to adopt the new method with minimal additional investment, making the whole process cheaper and faster."